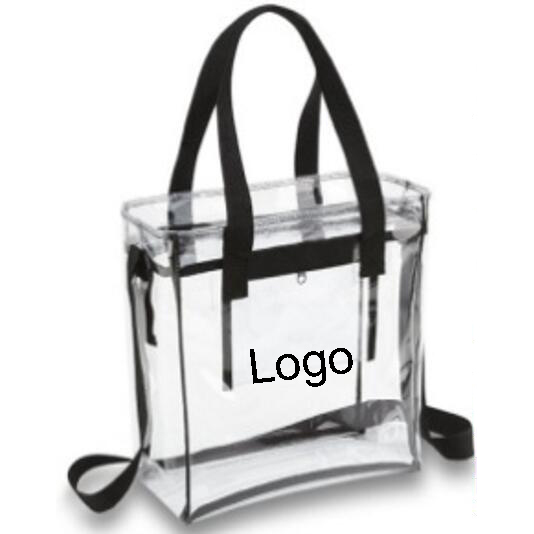 This clear PVC Tote Bag measures 12" x 12" x 6" and complies with NFL approved bag policy. Our clear vinyl tote is roomy enough to hold jackets, blankets, hats, gloves, binoculars, sunscreen, cameras, snacks and more. Logo-ready and reusable for the entire season. Clear PVC Zippered Tote with adjustable shoulder strap, handles, and 7 1/2" x 6 3/4" inside pocket. 12 mil (30C) thickness. Items per carton : 80 pcs/carton.